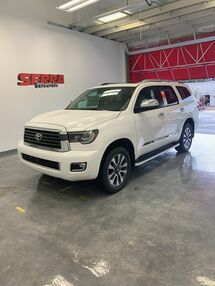 Contact Serra Toyota today for information on dozens of vehicles like this 2018 Toyota Sequoia Platinum. Want more room? Want more style? 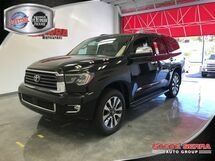 This Toyota Sequoia is the vehicle for you. Pull up in the vehicle and the valet will want to parked on the front row. This Toyota Sequoia is the vehicle others dream to own. Don't miss your chance to make it your new ride. Simply put, this Four Wheel Drive is engineered with higher standards. Enjoy improved steering, superior acceleration, and increased stability and safety while driving this 4WD Toyota Sequoia Platinum. The look is unmistakably Toyota, the smooth contours and cutting-edge technology of this Toyota Sequoia Platinum will definitely turn heads.